Get started with Parse, and learn how to set up your iOS app with a backend that lets you store user accounts, posts, and attachments! Learn how to make a simple app with a web back-end made with Parse! Update Note April 12, 2015: This tutorial has been updated to use Swift, iOS 8.3, Xcode 6.3, and the latest Parse SDK version (1.7.1 at the time of writing this tutorial). Having a backend component to your app adds a whole new world of features, from data synchronization to social sharing features to cloud storage. While you might be an expert iOS developer, what can you do about the server side to support your app? 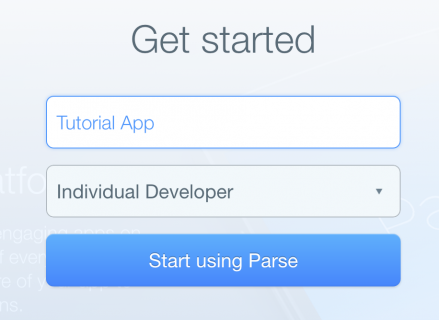 In this Parse tutorial, you will build an app using the Parse backend service. You’ll work on a photo sharing app, complete with user logins, photo uploads, and a photo wall. To keep the focus on Parse, you’ll begin with a starter project that has the user interface pre-created, but no capability to upload or download any images. You will add the Parse service piece by piece until you have a functioning app. Before starting the development of your app, the first step is to create an app in the Parse backend. Every developer and every app requires a unique identifier — otherwise, your data and users could get confused with those belonging to someone else. Visit Parse.com, click on “Get started for free,” and then sign up to create a new account. After you create the account, Parse will ask you to create your first app. You must regeister seperately every app you use with the backend. In this case, call it “Tutorial App”; hundreds of apps may exist on Parse with identical names, but only one instance of that app can belong to you. Core: This is where you can see all your backend’s previously uploaded data. You can also see the users, and you can manually manipulate the data. Analytics: Here you can find statistical information about your app such as its traffic, the push notifications sent, and number of API calls made. You can also add your custom events using Parse Analytics. Push: Use this section to send push notifications to any group (possibly all) of your users. Settings: This is where you find all API keys. In addition, here you can change the settings of your app, manage its security, and export your data. Docs: This is where you can go for tutorials, sample projects, API documentation, and learn anything you need to extend your Parse supported apps. In order to concentrate on backend services, this tutorial contains a starter project. 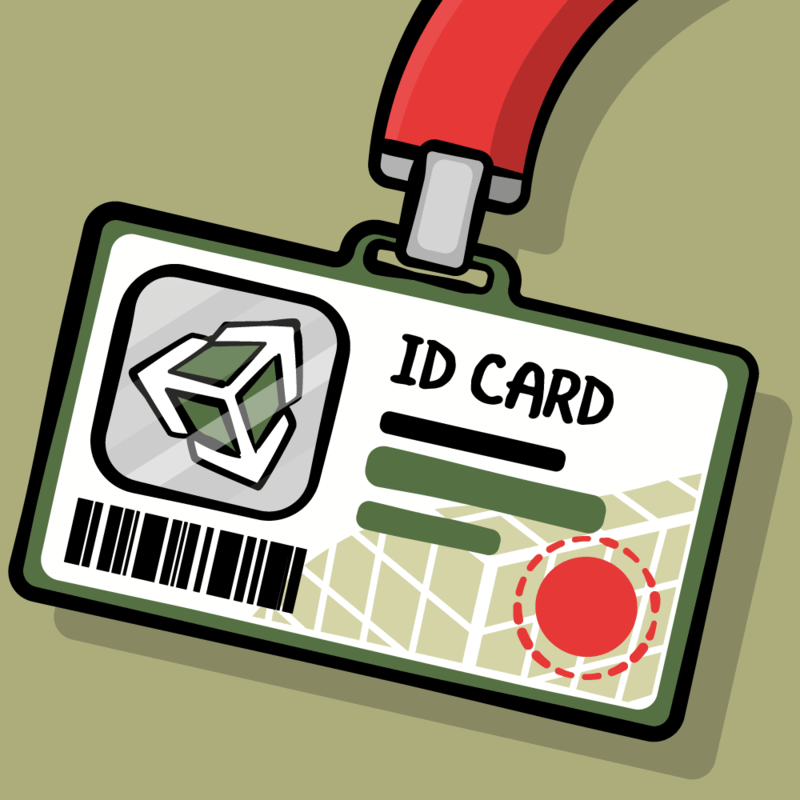 Just download it, and add the Parse calls as you go through the tutorial. Open up the project in Xcode and build and run! The first thing you will see is a login screen. However, although the buttons appear to do something, it’s a bit of an illusion. There is no back end yet to handle this, or the other parts of your app! You’ll create these functions shortly. Log In: A Login screen with user and password text fields. 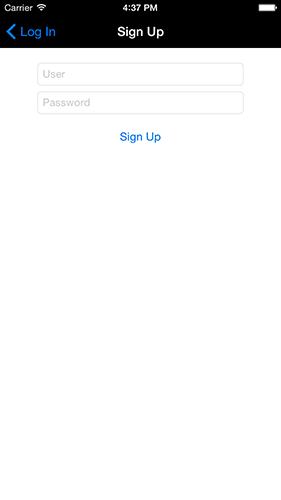 There’s a “Sign Up” button to go to the Sign Up view to create a new user. 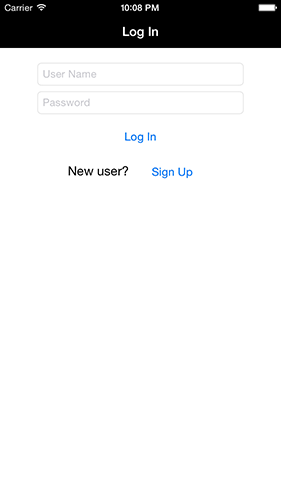 Sign Up: In this view, the user introduces the username and password to create a new account with the backend service. Wall: This is the main screen of the app. Here the user can see all of the other users uploaded images, the creation date and the comment associated with them. Upload: In this view, a user can upload their own images to the wall and (optionally) add a comment. 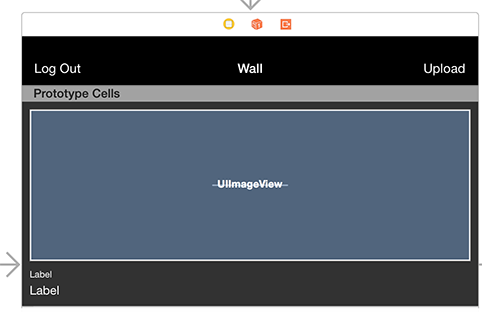 Each view has its own UIViewController in the storyboard, but you’ll notice that the Wall view has two representations. That’s because you’re going to see two ways to implement this view with Parse. The first step — quite naturally — is to configure your project to work with Parse! After downloading it, unzip it and drag the three frameworks below to the frameworks folder of your project. When prompted, check “Copy items…” and “Create groups…”. The default action is to add these frameworks to the target “ParseTutorial”, which is what you want. Parse.framework: This is the main framework with all of Parse’s backend functionalities. Bolts.framework: This framework is a collection of low-level libraries used for making various tasks easier and quicker. ParseUI.framework: This frameworks includes some very handy UI elements that interact directly with Parse objects. You’ll use this framework to build your images wall. Note: When adding Parse to your existing apps, you’ll also need to add some of Parse’s framework dependencies such as CoreGraphics and SystemConfiguration. The starter project has these set up for you already, but you can see the full set of instructions on the Parse Quick Start Guide. 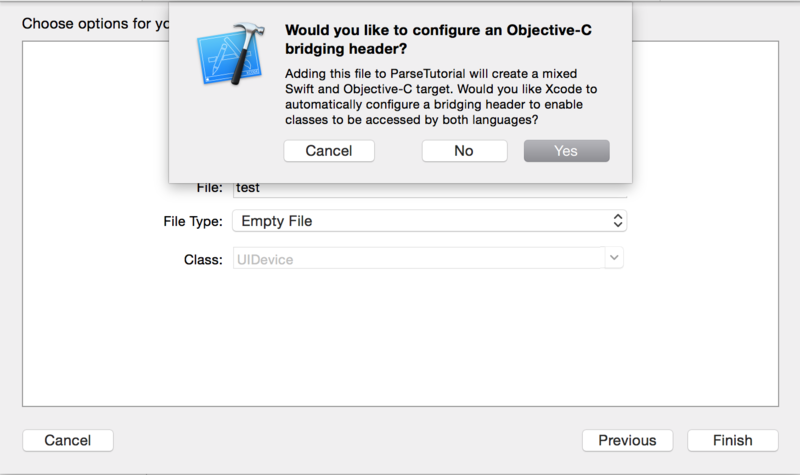 The Parse SDK is written in Objective-C, while you’ll write the app itself in Swift. 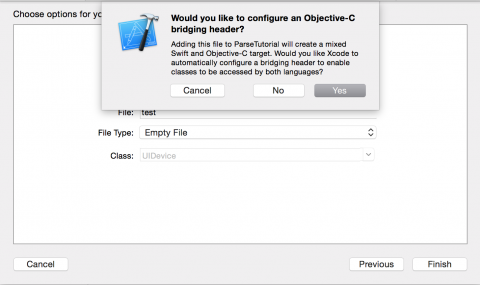 To use Parse’s Obj-C SDK code in your Swift application, you need an Objective-C Bridging Header file. The easiest way to create a bridging header file is to add an arbitrary Objective-C file to your project and let Xcode create the bridging header for you. Click Yes and Xcode will create the bridging header file and add it to your project. Delete the original Objective-C file as you no longer need it. This will make these three frameworks available to your swift code. Build and run! Check that everything compiles and runs without error. If so, then it means that your app registered and connected properly with the Parse backend. You are ready to work with the service! Every object you upload to Parse becomes an entry in the database scheme that you defined for your app. Think of these objects as being somewhat like dictionaries – you store data in them identified by key, then you can retrieve your data with those same keys later on. In this example, you’ll upload an object called “Player”, with “Name” and “Score” as fields. So in your database, you will have a table called “Player” with all the objects uploaded with that name. You’ll see this with the example calls below. As you can see here, you are using asynchronous mode to upload the object, and you are checking the result in a closure. PFObject is a base class providing basic object manipulation methods. The best part is you don’t need to create a table in the Parse web interface itself – it will automatically create a schema for you based on what you upload. Build and run! If you put your API keys into the code properly, and your app properly registered with the Parse service, then everything should run without issue, and you will see the message “Object Uploaded” appear in the console. If something went wrong, then you’ll see an error message instead. But where did your object go? Is it just out there floating in cyberspace? Also, if you get the “Object Uploaded” message, but you don’t see any data in the Parse dashboard, try reloading the dashboard page and/or click the refresh button in the upper right of the dashboard. Before continuing to the next section create two more records. Leave the name as “John,” but change the score to 810, and run the app. Now you have two records with name “John” but differing scores. 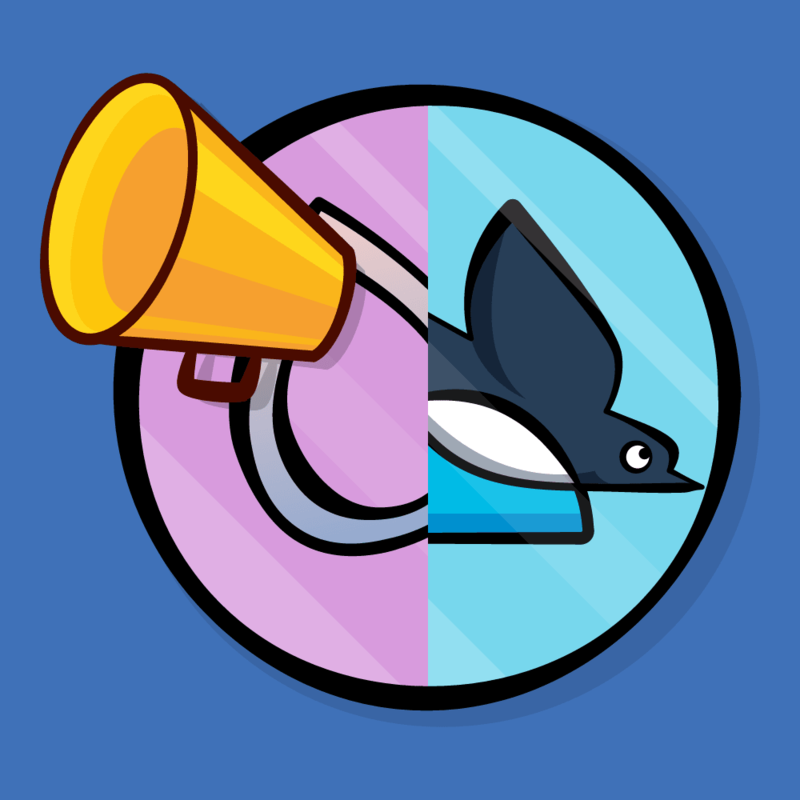 Now change the name to “Sally” and the score 2400 and run the app to create a third record. Now, it’s time to retrieve the objects. 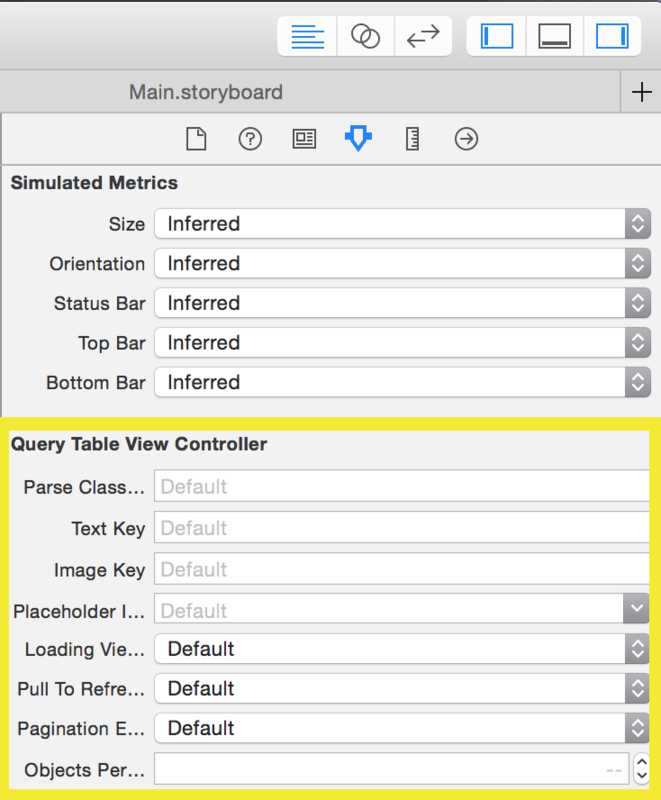 For this purpose, Parse has the class PFQuery – unsurprisingly, it performs queries, as noted in the PFQuery documentation. Here you create the query object, the name will be the name of the table where you want to look. You are only going to get those objects where the name is “John” and where the score is bigger than 1000. Send the query, and print the result in a closure. After this brief exploration of basic storage and query operations, you can continue working in the real project. Comment out (or delete) these lines from application(_:didFinishLaunchingWithOptions:) before continuing. 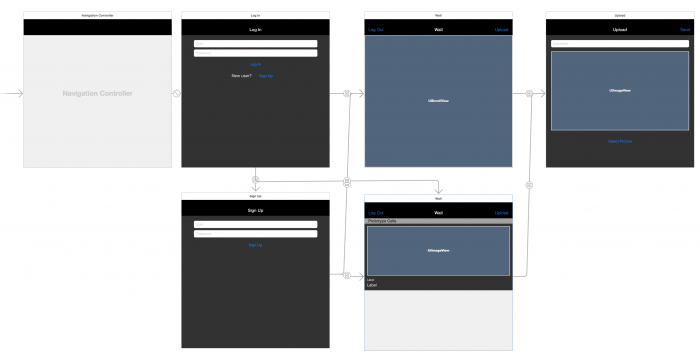 The first step that your users will encounter in your app is to register as a user. Open the file RegisterViewController.swift; right now the view doesn’t do anything apart from being opened and closed. Your mission is to implement the functionality for user registration when the user taps the “Sign Up” button. Create a new PFUser object named user. You will use this object for both the login and register processes. It stores your authenticated user, so you can access the data for this user any time you want. You can find the PFUser class documentation here. Assign the username and password to user from the text fields in the view. Call the method that registers the user in the background, and checks the response in a closure. There are two possible responses here: either the response is okay and you logged in your newly created user, or there was an error. In the first case, move on to the wall view, and otherwise show the user a description of the error. Enter the name and password of the new user, and press the Sign Up button. If all goes well the app will move to the wall view. As you can see, the process is quite simple and very similar to the registration process. Rather than just perform the segue, you first check that the username and password match what’s in the data store. Try to log in with the same user you created in the previous section. If all goes well, your app will move to the wall view. As a sanity check, try logging in with a bad username or password to see the error message. Both previous actions (register and log in) will move the app to the Wall View. In this view, you are going to see the pictures that all the users of your backend service uploaded, with their comments attached. Parse makes it easy to upload files. Open UploadImageViewController.swift, which is where you’ll do the work to upload files. A logged-in user can tap the “Upload” button on the Wall view to take them to the upload screen shown below. From here, the user can enter an optional comment and tap “Select Picture” to select something from the library to upload using the standard image picker. All this is already implemented in the starter app – now it’s time to add the code that completes the implementation of sendPressed(_:). 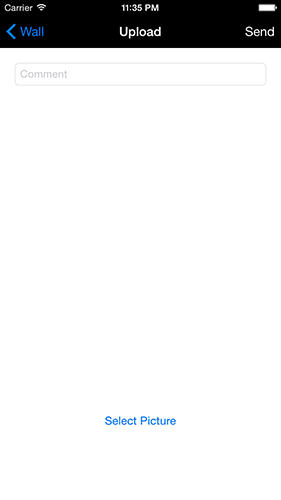 This is the action – linked to the “Send” button on the Navigation Toolbar – that sends your picture and comment to the server. The process consists of two parts. First, upload the image using a PFFile object; second, attach it to a PFObject, and upload it to the server. As you saw earlier in the tutorial, you can add and retrieve various fields to a PFObject using setKey and objectForKey. But if you have a specific type of object you use in your app, say like a wall post, wouldn’t it be nice to give it it’s own subclass with relevant properties? You will next see how you can make that happen. You also want WallPost to conform to the PFSubclassing protocol. The PFSubclassing protocol declares a few required methods for subclassing a PFObject. The PFObject+Subclass.h Obj-C category implements these methods, and you can override them. You will do this by adding the extension shown below right after the WallPost class. This extension contains two required protocol methods. Set the name of the class as seen in the backend database. Let Parse know that you intend to use this subclass for all objects with class type WallPost. You want to do this only once, so you’re using dispatch_once_t to make sure of that. Here you’re adding a PFFile property to hold the posted image, a PFUser property to hold the user who uploaded the image, and an optional String property for the post comment. You’re using @NSManaged here because deep down, PFObject properties are just a set of key-value parameters. This way, when you set the value of each property, it will automatically be written as a key-value pair. Create a PFQuery object for the WallPost class. Request that this query will return the full user details. Without this line of code, the query will just return the object reference of the user without its details. Sort the results by their creation date. This is a simple initializer to create a WallPost object – either with starter values or without. Now that you have the WallPost class done, you’ll go back to uploading the images to the Parse server. Create the PFFile object with the data of the image, and save it in the background. If successful, save the PostWall object with the file you just successfully uploaded. If not, inform the user. When saving a file, Parse let’s you track the progress with this progress block (closure in swift). Here you just write the progress to the console. Create the WallPost object with the uploaded image, the current logged in user, and the comment. Save to WallPost in the background. If successful, go back to the wall. Build and run your app. Log in with the user you created previously, and go to the upload screen via the top right button in the Wall Screen. Press “Select Picture” to select a picture from your gallery. When it’s selected, write a comment if you like, and press the “Send” button. You can follow the percentage of the upload in the console – the progress block of the upload operation updates with the percentage complete status of the upload. Here, it’s shown in the debug console, but your finished app would more correctly show a progress bar to the user. Now go to the Core Data Browser and view the object in your new table called WallPost. Hooray! But wait — you can’t see it in the app yet! Open WallPicturesViewController.swift. This view will show all of your users uploaded pictures. When the view loads, it calls getWallImages() to retrieve all the objects. As you can see, it’s empty now. dateFormatter.dateFormat = "HH:mm dd/MM yyyy"
infoLabel.text = "Uploaded by: \(username), \(dateString)"
infoLabel.text = "Uploaded by anonymous: , \(dateString)"
infoLabel.text = "Uploaded by: \(wallPost.user.username), \(dateString)"
Create a view to display the image and post details. Get the user that uploaded the image, and put it in a label with the creation date. Add a label with the comment. Add it to the scroll view and increment the next post’s position. Set the ScrollView’s content size. Create a simple query to retrieve WallPost objects, and sorts the query by creation date as we defined earlier in WallPost.swift. Find the object that matches the query. In this case, show all the objects of the type WallPost. If everything went fine, load the posts to the wall. If there was an error, then inform the user. Build and run! You should see the image and the comment you previously uploaded. Take some time now to play with the app, uploading some more images and comments, and seeing them appear on your wall! As noted earlier there is another way to present the saved images. That’s the approach you will implement next. In the previous section you presented the images in a simple UIScrollView, and calculated their sizes yourself. You may have thought that this job would be better done with a UITableView. Well, the smart people at Parse thought the same thing, so they wrote ParseUI.framework and filled it with some very handy objects to display Parse specific UI. 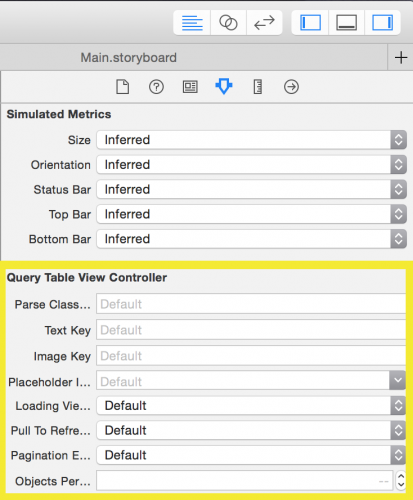 PFQueryTableViewController: This UITableViewController subclass makes is as simple as it can be to execute a PFQuery and display the result in a table. PFTableViewCell: A UITableViewCell subclass to go along with the PFQueryTableViewController object. PFImageView: This UIImageView subclass manages downloading and displaying images stored on Parse’s server. Now, open WallPicturesTableViewController.swift and change its superclass from UITableViewController to PFQueryTableViewController. Similarly, modify WallPostTableViewCell to make it a subclass of PFTableViewCell instead of UITableViewCell. In addition change the postImage property to be of type PFImageView instead of UIImageView. These parameters let you choose the object type to fetch and show in the table, and also let you define the the table’s behavior by adding pull to refresh, pagination, and a loading view. When using a simple UITableView to present the results, you could even set the PFObject keys you want shown in the table, without needing to fill it in code. Under Parse Class enter WallPost. Every time the view appears, you want to reload the query and the table view. To specify which query to run, you override queryForTable() to return a query for a WallPost. cell.createdByLabel.text = "Uploaded by: \(username), \(dateString)"
cell.createdByLabel.text = "Uploaded by anonymous: , \(dateString)"
cell.createdByLabel.text = "Uploaded by: \(wallPost.user.username), \(dateString)"
This method replaces the UITableView data source method tableView(_:cellForRowAtIndexPath:) with a more suitable form. You get the returned PFObject as a parameter, without the need search it in a results array using and index path. Dequeue a cell from the table view, and cast it to a WallPostTableViewCell. Download the post image using PFImageView‘s loadInBackground method. In the completion closure you track the download’s progress. Here you fill a UIProgressBar as the image downloads. Add the creation date, the user’s name and the comment to the cell. Before you can run this code, there’s one last thing you need to do. Go to LoginViewController.swift, and inside logInPressed(_:) replace the segues name from scrollViewWallSegue to tableViewWallSegue. Do the same in RegisterViewController.swift. Build and run you code, and you’ll see the wall posts presented in a table view with a nice progress bar filling up as the images are downloading. YYou probably noticed that every time the app launches, the user needs to log in again. Also, the “Log Out” button just takes you back to main screen and it doesn’t actually log you out. In this final part of the tutorial you’ll create code to keep the user logged in between app launches, and also provide an option to actually log out of the server. When a user logs in to your app, Parse will save the user and their state between app launches. Here you check, using optional binding, if the user exists. If so, you check if the user is authenticated, and if so, then navigate to the posts wall. Here you simply log out the user and navigate back to the initial login screen. Do the same in WallPicturesViewController.swift. Here is the complete example project you developed in the above tutorial. You’ve seen how easy it is to upload and download objects based on a PFObject subclass, and how to work with PFUsers in Parse! There is so much more you can do with Parse. Parse also lets you send push notifications to your users directly from within your app, add various social features that are already embedded in the framework, and add analytics so you track your users’ every move. Parse also offers more advanced features like writing cloud code and schedule recurring jobs for the backend. As you go along with writing your Parse apps, and get more familiar with it, I highly recommend you explore more of these features.